If you say “outdoor furniture” to some people, they will groan. It’s hard not to blame them because they are probably picturing those tacky little white plastic things that are too uncomfortable to sit in, the little chairs that come in their own bags and threaten to fold up whenever they feel like it or even worse, the antique webbed lawn chairs that have been re-webbed at least a dozen times since they were bought by Grandma at a tag sale. You do know that there are other options for your yard, right? In Columbus, Ohio, outdoor furniture does not have to just mean bland, uncomfortable stuff nor does it mean that it has to be the dangerous, sit at your own risk type either. In fact, you can have furniture that is not only stylish but also comfortable and long lasting as well. Amish Originals sells outdoor furniture that has been crafted by real Amish families. There are two options for the materials used to create these pieces, either real wood or poly lumber. Poly lumber is created to look just like real wood but reduces some of the problems that it can cause. 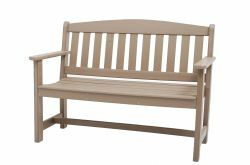 Some of the choices that you will find when you shop at Amish Originals for your outdoor furniture includes tables, chairs, rockers, gliders and benches of varying sizes. There are even folding options that are easier to store when it is time to put the items away for the season. Of course, these are so attractive that some families might just move some of their outdoor furniture pieces into the house as well. Some of the favorite pieces that are offered include the rockers and gliders. There is just something about sitting outside on a warm night, sitting with a friend or your spouse, rocking or gliding as the breezes blow gently by. A rocker or glider out in the yard is also a great place to head to when you have had a rough day, book or Kindle in hand, maybe a nice glass of wine, rocking or gliding all of your problems away. In addition to gliders, swings and stationery chairs, you can complete your outdoor arrangement with the right table and even footrests. When talking about outdoor furniture of any kind, the Adirondack chairs, gliders and other items are going to be brought up. These are a distinctively designed furniture styles found on front porches and back yards all over the nation. There are several types of these items that can be found at Amish Originals. There are also other styles of the gliders, swings, tables and chairs as well. Whether you choose wood or poly lumber you will find the absolute right pieces for your outdoor living area at Amish Originals. Since a double Adirondack glider or a high back swing will be too large to just slide into your car, you can have your choices delivered to your home for a small fee. Visit our Columbus, Ohio furniture store today!